PART 2 - How should you get your small business accounting practices organised? Providing professional payroll services in San Antonio has taught us about commitments we make. Therefore, here we are to provide you with more tips on how to get your small business accounting practices organised. 3. Maintaining Inventory Records – One should always avoid misplacing merchandise – or theft – by noting stock numbers,dates purchased, dates sold, sale prices, and purchase prices. The thing to remember is that if you are more organized, it’s always better. 4. 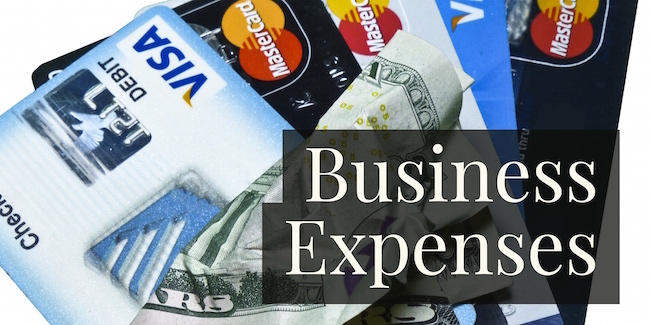 Separate Personal and Business Expenses – Have a dedicated business bank account, that includes a credit card and checking, making sure to save your time when it comes to tallying up the deductible expenses. As an accountant San Antonio we understand how this can be tough. However, this small business accounting practice saves you major pain down the road. 5. Tracking Every Expense – Categorize and label every expense, in order to track your cash flow. You can run out of money without even being aware of it. A good way to go about it is to use the business credit card for all purchases. This way, you won’t end up with a wallet full of paper receipts. With this you can earn cash back or rewards for your expenses. However, if cash is the only option you have, then it’s better to file digital copies of receipts into your accounting software. 6. Accurately Recording Deposits – Revenue from sales, loans, and any other cash infusion is really easy to lose track of. Further, this leads to paying unnecessary income taxes. Consult your accountant to ask about the best small business accounting practice that can be used for recording such deposits. 7. Keeping Tabs on Labor Costs – When it comes to paying employees, including yourself, it might just be your largest expense. Hence, you should always take note of perks, overtime, along with other benefits that you offer in order to prevent under- or over-paying. 8. Follow Up on Receivables and Invoices – Remember, sending an invoice doesn’t mean you are definitely going to get paid. Avoiding overpaying on taxes as well as hours spent sifting through your receivables listing and revenue account is a good idea. 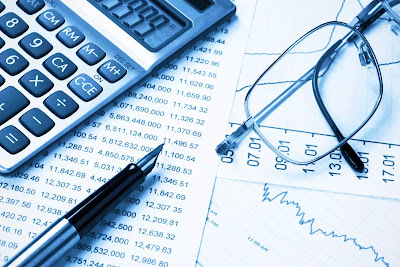 The tips above are imperative for you to follow as finance is the backbone of any business. For hiring professional payroll services or learning good small business accounting practices get in touch with us today at 210-701-1040. Why and How should you get your Small Business Accounting Practices Organised? When you have a small business to run, there are immense number of things to consider. This would typically include things like getting an accountant San Antonio and more. For example, tracking costs, expenses, and revenues is an important activity. This process is crucial in order to keep your business out of the paperwork load and cash flow messes. Further, it lets you concentrate on activities that are important to grow your business. Initially, you might think that you can avoid doing your own bookkeeping and get away with it. However as soon as you realise that your business has to file tax returns and you do not even know how to do that, the real trouble begins. Not spending enough time in figuring out about such processes can be a big mistake as a small business owner. However, your boat can sail by hiring a professional for bookkeeping or accounting service. This would maximize your tax advantages. Automating the small business accounting practices with the help of modern finance software applications has become easier. QuickBooks is one of the best amongst them. However, every small business should go for the software that best suits its needs. A great idea would be to have user-friendly iPad applications or cloud-based access. Out of the many chores that the businesses have, bookkeeping is one of the most necessary ones. In a simple language, bookkeeping ultimately helps you in managing your operations and eventually avoiding an audit by giving the IRS exactly what they require. Like every small business owner, you would want to focus on and achieve your long-term goals while increasing profits. In order to do the same, you can easily follow these essential tips and get your small business accounting practices in order. 1. Major expenses might head your way. You should always expect and keep an eye out for expenses like equipment replacement, upgrading of computer systems, and tax deadlines coming closer. These should not come as a surprise to any small business owner. During slower months, there are usually larger capital expenses. Therefore, planning to avoid a cash crunch would be a great idea. Get necessary paperwork in order, by setting a weekly time to avoid letting invoiced receivables or receipts pile up. In our next blog, we are coming up with more tips on how you can get your small business accounting practices organised. Stay tuned! Till then, if you have any questions related to business accounting in San Antonio, call us at 210-701-1040.